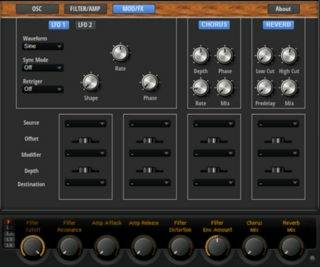 A simple synth inspired by Steinberg's Retrologue. Library contains just one preset for now. Should work in HSSE. Edit: I have replaced the attachment. It is the same thing with a few simple presets added. Last edited by misohoza on Thu Mar 23, 2017 11:38 pm, edited 3 times in total. Very nice! I like the about page! Matthias Quellmann wrote: Very nice! I like the about page! I'm glad you like the about page. That was the first thing I did. Items like this are essential to get insight in H6's synth building engine. - i see you make the macro at layer level. So this means it is not necessary to make the main macro at the program level in the tree ? The macro page was originally created at the program level. When I exported the program as HSSE layer, I loaded the exported layer into Halion Sonic 3 and saved it as a program. Then used this program for the library. So what was originally a program with macro page becomes a layer of the new program. Not sure if this is a correct way of doing this, but I think Steinberg has done it the same way with their new Halion 6 instruments. When you check any of them in Macro Page Designer you will find the macro page is at the layer level. Pop up list is a special variable where you write the name of the template to be displayed on top of everything else. The template is not a part of the GUI, but has to be included in Templates. So if you switch to Templates tab you will find a template with the same name as listed in Pop up views variable. And i also found your script in your preset. That is something that is not for the near future for me. I guess i will someday understand that but for the moment there is not enough room in my head for all of that. But i figured another way around! up to some nice tools and presets! I have edited the first post and replaced the attachment. It is the same thing with a few simple presets added. I have registered your sound file "Minilogue.vstsound", but I can not find it in Halion 6. Do I need a preset? After new start of Cubase the Minilogue is now listed. I've replaced the attachment in the first post again. There's nothing new in terms of content or functionality. 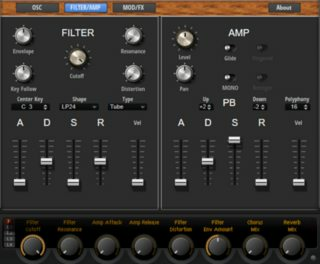 The only visible change is that octave, coarse and fine knobs are used for editing multi oscillator parameters (number, detune, spread), when multi and edit buttons are on. Apart from that the macro page was reorganised, making use of template list and variables for modulation matrix and oscillator parameters. The Lua script module was also changed a little bit. Nice one. Thanks for sharing. 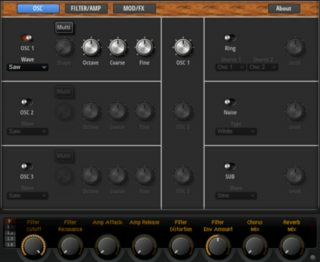 Good basic (in a good way) synth with usable sounds. Inspirational even....I really should get my various efforts finished.